You can't count on one hand how many times I fallen in love with glitter nail polish only to come home and be disappointed. In the bottle it always looks beautiful and vibrant but when you apply onto your nail you just get sparkles and a light tone. Applying even a few coat doesn't create the desired color. So if you feel my pain I have a solution for you. For example if you'd like brown sparkles; purchase nail polish in the same brown shade. 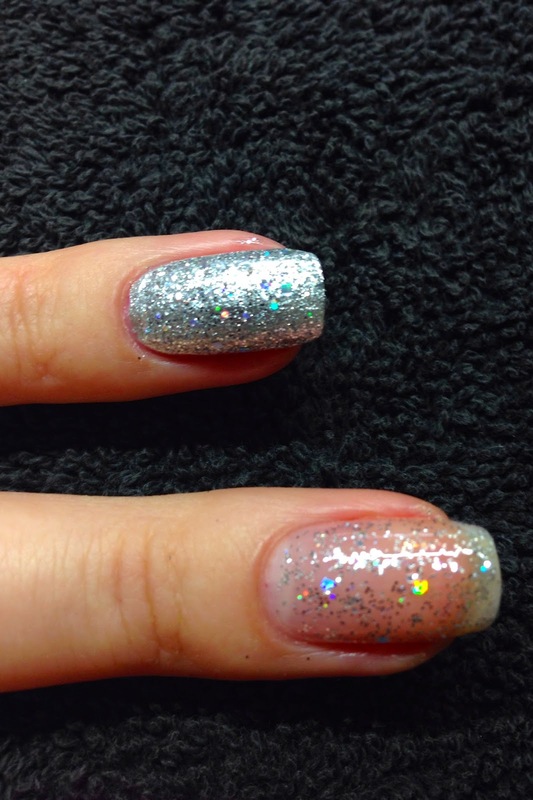 Apply two coats of nail polish and top it of with a coat of glitter nail polish. As you can see in the pictures below the difference is striking. Brown nail polish - Going My Way Or Noway? by OPI, Glitter nail polish - DS Classic by OPI. Silver nail polish - DS Radiance by OPI, glitter nail polish - In True Stefani Fashion by OPI. 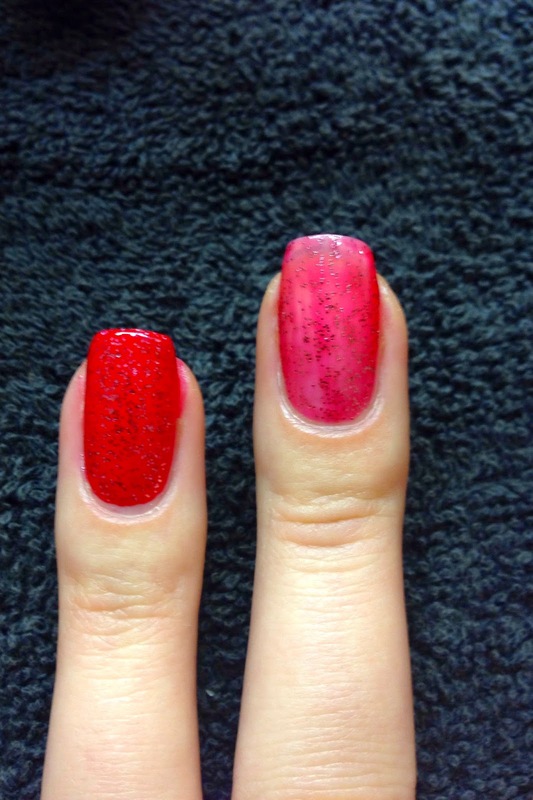 Red nail polish - Color So Hot It Berns by OPI, Glitter nail polish - DS Bold by OPI.